Throughout the year, many organizations hold various events for one reason or another. As anyone who has even been involved with putting on and organizing an event will tell you, it requires a lot of hard work from a great team of people. Putting on a blockbuster event is one thing, but what if you could make them more philanthropic? There are many different ways to accomplish this, and most of the time it doesn’t require a lot of extra work and is just a matter of using your talents and the resources close to you. 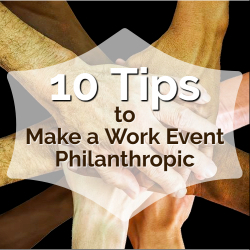 Here are my 10 tips to make a work event more philanthropic. 1. Find a good time to throw an event. There are times of the year when people attend more events. During certain months, there is more fiscal giving than others. If you want to maximize your earnings at your charity event, aim to throw events around the holiday season. Keep in mind, you might have more competition because many people throw events this time of the year for the same reason. 2. Find a cause that fits with your organization. You want to seek a charity that resonates with your employees, guests, and the brand of your organization. The more relevant the cause, the more people will feel connected to it. The more connected they feel, the better it will play out at the event. If you are a women’s organization, perhaps you seek a women’s health charity. If you work with children, a toy drive around the holidays makes for an appropriate cause. 3. Put your talent to the test. 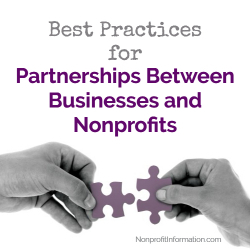 When it comes to partnering your company philanthropically, your skills become an asset to the cause. If you are a social media genius, offer to run the social media for the event. 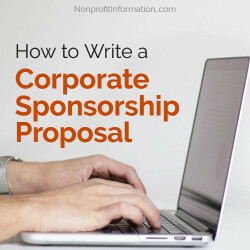 That way you can support both your company and the cause at hand. 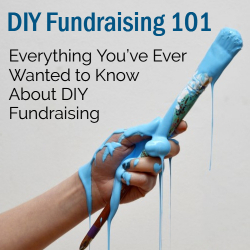 Your talent might be getting all the people there and letting the charity or your team handle the planning. Whatever your talent, put it to best use to help raise money and awareness. No one wants to be forced into helping. Present the event to your staff as an extra project. If you need help on weeknights and weekends, offer incentives and make it casual. Creating incentives rewards your employees for helping and offers them the chance to work more closely with the higher ups. You can also bring in a special team of interns or volunteers for your event to help them make connections and gain experience. Don’t forget, many employees have children who are required/need to earn volunteer hours for school. 5. 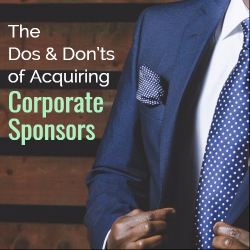 Sponsorships are a form of marketing. Don’t be modest when it comes to promoting your business in tandem with a good cause. You are simultaneously helping your business and doing your philanthropic duty. Really, you are killing two birds with one stone. 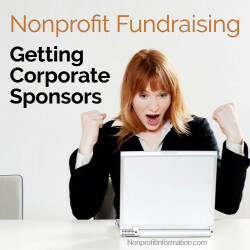 Sponsoring is a great way to support a cause and promote your business at the same time. 6. Increasing the range of networking. When you throw an event for a cause, you are bringing different groups of people together. This allows for new connections to be made, and intermingling of networks. Bring people from around the community to the event. Everyone likes to celebrate, and if it is for a good cause it is all the better. Making new friends in the process can’t hurt. 7. Rally your team to bring in the goods. 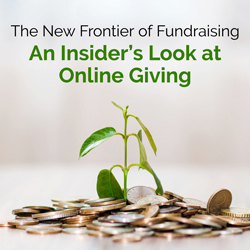 Consider having different methods of donations. Not everyone likes to make cash donations, and some are not able to fiscally. During the winter months, for example, you can provide the opportunity for individuals to bring warm clothes, canned goods or toys for underprivileged children and families. This offers individuals and employees opportunities to give besides at the event and other than financially. 8. Classily ask for donations. You can offer an incentive to your employees by matching donations made to the cause. 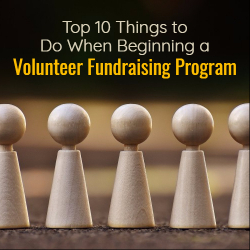 Be sure to always present it as voluntary, because you don’t want to pressure people into participating. 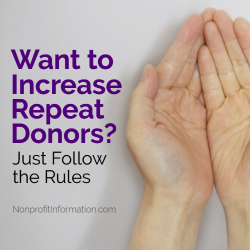 When you are holding your event, find a method to respectfully solicit donations. Leave a basket on each table or have a table by the exit that offers an opportunity to give to the cause. You can also have a percentage of the bar or food tab be given to the charity. 9. Send thank you notes, and a second chance. Be sure to save all the RSVPs or nametags that were used at the event. This allows you to know who was present. Sending a thank you note shows a personal touch that goes the extra mile. You can include an envelope for a ‘last chance’ donation to the cause, too. Some organizations opt-out for this, or rather, include a link for a digital option. 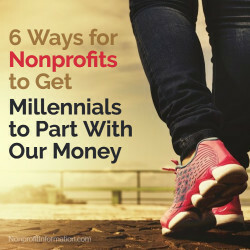 The easier you make the process for them, the more often people send donations. 10. Cap it with a memento. In your thank you notes, include a little keepsake. It can be something personal from the event, such as a photograph, or a little theme-specific talisman. Many organizations continue the branding campaign and send a piece of merchandise such as a hat, keychain, bumper sticker, or t-shirt. Make sure it fits with the event and remains relevant.